Russian business abroad: Big or small? At home the economy is gradually recovering, but are Russian entrepreneurs still willing to try their luck abroad? With the Russian economy now officially moving out of crisis, foreign investors might breathe out and start taking considering investing in the now expanding local market. According to the Russian Federal Tax Service, in 2017 Russians registered more individual companies and farms compared to last year. 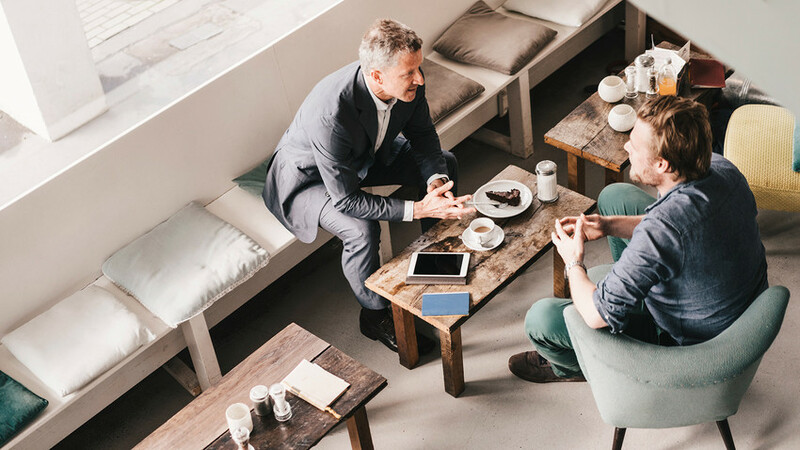 The number of new entrepreneurs reached 336,000, an increase of 16,000 over 2016. But what about Russian business internationally? Does it exist and, if so, where? “A lot of Russians open businesses in Europe. Most popular destinations are Germany, Spain, Italy and the Czech Republic,” Pavel Butenko, director of marketing, direct sales and innovation development at INTOUCH Insurance company in Moscow, told Russia Beyond. A large part of Russian business is often created by Russians living abroad and is largely represented by small and medium enterprises, he says. Setting up a firm in Europe is not that easy: There are many requirements, plus taxes are high. But it is worth it because Europe provides a higher level of security for private property and a more transparent system of doing business. “Opening a business in Europe might not always promise huge profits, as opposed to Russia, but surely there are fewer risks to worry about,” Butenko explains. Starting from 2015, as the crisis in Russia erupted, many businessmen moved or seriously thought about moving their businesses abroad. At that time there was even a special forum for Russian businessmen in Berlin on how to set up a company in Europe. In an RBC story last May, some companies said they had moved production to China, India and Europe because it was either easier and cheaper or helped them to enter local market, or both. Local market conditions sometimes even made it cheaper to produce a particular product abroad and then export it back to Russia, they argued. “Of course, we’d like to export our products from Russia, but the problem is that it is difficult to find support here. In Europe a business will develop faster and more effectively,” Evald Aliyev, managing partner at Prodgreen, a company producing dietary semi-finished goods, said. 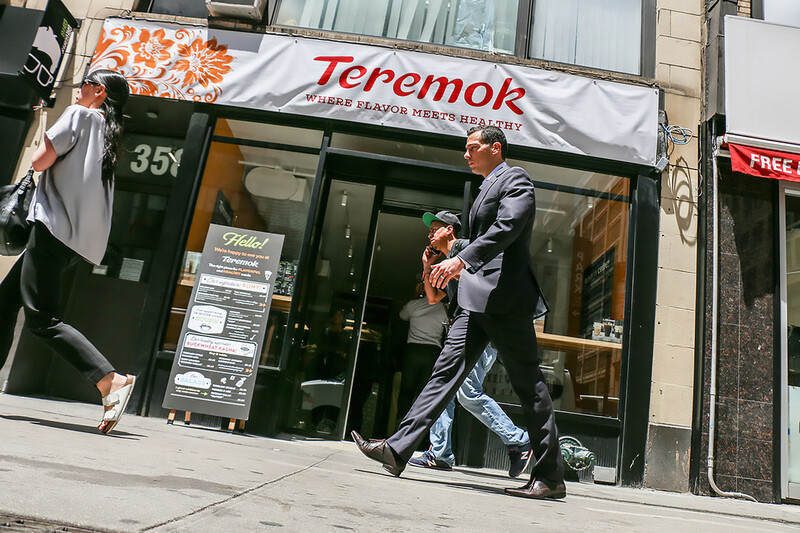 Russian fast casual chain Teremok in New York. Russians living abroad predominantly choose to do business in public catering and tourism. Of course, such businesses are usually rather small and have a Russian character. Russian cuisine cafes, Russian food stores, tour guides or translation services – such firms can be found not only in Europe, but also in Asia, in countries popular among Russian tourists. Konstantin Pinayev, who worked in London in consulting services, set up such a business. In 2013 he established his own company offering guided tours around London for Russian-speakers. Joint ventures also exist but are either represented by large corporations or IT companies. Everything related to cutting edge technologies has a high potential for joint ventures with foreign partners, says Pavel Sigal, vice president of Opora Rossii, a Russian business association of small and medium companies. One such example is the Cloudike personal cloud solution developed by Russian IT professionals in 2013. After receiving $1 million in investment from South Korean venture funds in 2014 and taking in a South Korean partner Sun Ung Lee, developers managed to export their technology abroad: They implemented 10 large projects with foreign companies including Vodafone Turkey, Indonesian mobile career Indosat Ooredoo and Turkish home and professional appliances manufacturer Vestel. Now they work in Mexico, Turkey, Indonesia and South Korea.